Physical exercise not only makes your body healthy but also keeps your mind working at an optimum level. Until the last 100 years or so, we did more work with our bodies—people woke up early, did a lot of physical work, ate heartily and went to sleep with a tired body and happy mind. While there might have been exceptions, it does not negate the fact that our exceedingly sedentary lifestyles today might be having an effect on our mental health. For example, researchers out of Deakin University’s Centre for Physical Activity and Nutrition Research in Australia found that low-energy activities (like working at a computer all day, watching TV for extended periods, or simply crouching over your phone or laptop in bed) and sitting down likely makes your anxiety worse. These days, our minds are overworked and our bodies are under-used and the instances of mental health concerns have been steadily rising. You’ve probably already heard a lot of reasons why exercise is good for you. Here’s one more—a healthy body has a positive effect on the mind. Physical health and mental health influence each other a lot and taking care of one can help take care of the other. The most obvious example is that people who exercise regularly find that they have more energy through the day, sleep better at night, and feel more relaxed, empowered and positive about themselves. Working out has a direct impact on the brain, the most obviously experienced effect being the release of endorphins, the body’s feel-good hormones that create a feeling of happiness or positivity, often manifesting as a ‘rush’ or a post-workout ‘high’. This definitely helps improve general mood, and can put one in a more positive frame of mind. The release of endorphins after a workout has a positive influence on people overcoming depression, as it helps to uplift the spirit take a break from the cycle of negative thoughts that feed depression. A study from Duke University shows that people who exercised at a moderate level—about 40 minutes three to five days each week—experienced the most of the antidepressant effects of endorphin and neurotransmitters like serotonin. While exercise may not cure depression, it creates a lot of positive change in the mind from neuronal growth to new activity patterns that promote positive feelings which can augment the impact of medicines and therapy. It’s not just the brain that reaps the benefits of a good workout. When you’re stressed, your muscles tense up and your blood pressure increases. Engaging in some physical activity, especially after a long day, can help your body let go of the physical tension. Also, focussing on physical activity for a while, can help give the mind a break from worry, stress, or damaging self-talk. This is especially useful in today’s hyper connected world, where our minds are multi-tasking all the time. 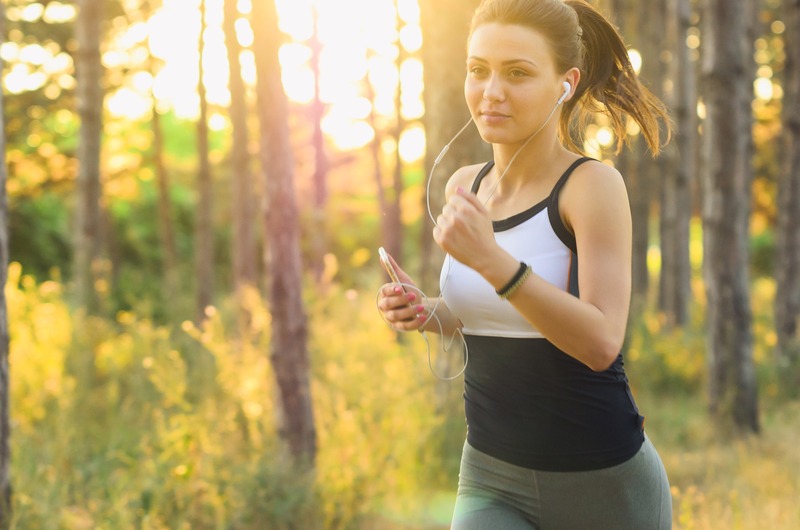 Apart from this, exercise generally increases blood flow to certain regions of the brain, taking more oxygen and nutrients there, improving neuron growth, signalling and connections. Take the hippocampus for example. It’s the part of the brain involved in memory, emotion regulation and learning. A study from Texas A&M University shows that exercise leads to the creation of new neurons here which improves cognitive flexibility and learning abilities. This not only helps keep your mind sharp as you age but also improves your cognitive flexibility to unlearn bad behaviours, process new information and embrace new solutions, which can help people going through healing and therapy processes. When you workout, your senses are engaged as well. You hear the sound of your feet on the ground or the wind in your hair. Paying attention to the sounds and sensations and focussing on your body and how it feels while workout can become an excellent mindfulness exercise, which helps to relieve anxiety. People dealing with anxiety issues have a flow of constant worries running through their mind, and being mindful while you work out will help keep your mind from constantly worrying. While exercise alone cannot cure mental health illnesses concerns, working out for around three hours a week will help augment the results of therapy or any other form of treatment suggested by your mental healthcare provider. If you’re new to working out, the key is to start small and to start with activities that you enjoy and then move on to new challenges. If you’ve got any health concerns, then check with your doctor about your exercise options. From my own experience, I can promise that it will be a very rewarding journey and your workout time will become a special time between you, your mind and your body to focus on self-care and healing.